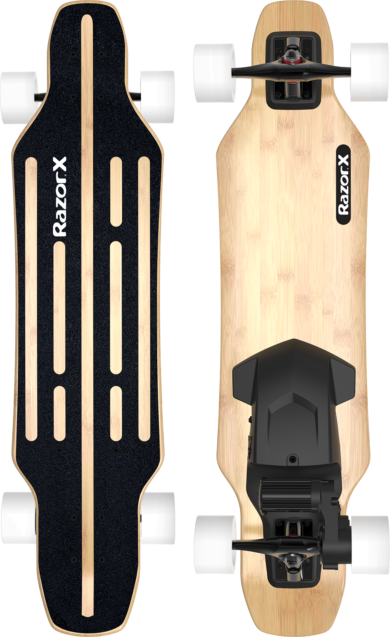 People have known Razor for 18 years as the creator of the Best Scooter out there….and Razor has way more than just scooters…electric heel wheel skates, hoverboards, electric skateboards and so much more! And with the Holidays around the corner, why not give the gift of family time and a little (ok…a lot!) of outdoor fun! 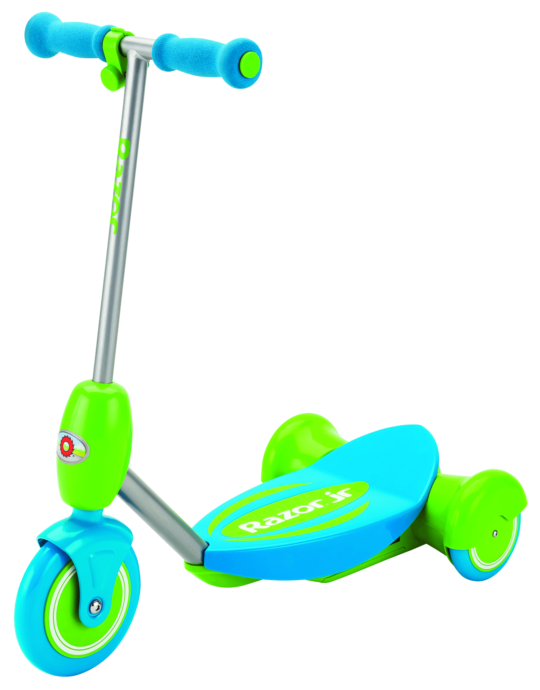 Razor has gifts for the whole family, from your toddler to mom and dad! 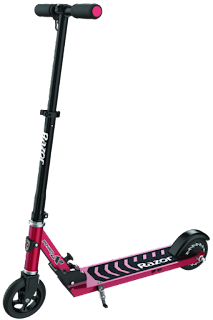 Check out some of the great new electric scooters, skateboard and cool rides from Razor! The NEW E PRIME, is aLux electric scooter designed for older kids and adults for easy, short commutes, as well as some great outdoor fun with the family…because let’s face it…mom & dad want to have fun, too! Designed to impress at school, the office or around the neighborhood, the Razor® E Prime™ combines sleek style with electric efficiency to bring a new level of sophistication to every ride. 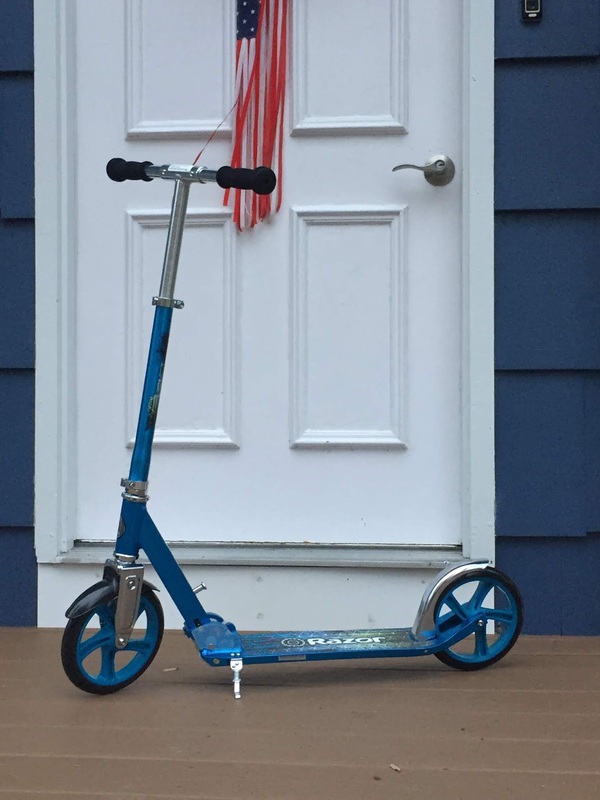 Featuring a high-torque, electric hub motor, our patent-pending, anti-rattle, folding technology and taller, easy-adjust handlebars, the E Prime will have you cruising or commuting, where permitted, in style at speeds up to 15 mph! Packed with innovation from its lithium-ion battery and push-button throttle control to its kick-to-start in-hub electric motor, the Power A2 is ushering in a new age of performance in an ultra-modern, compact and easily foldable update of our classic A scooter. 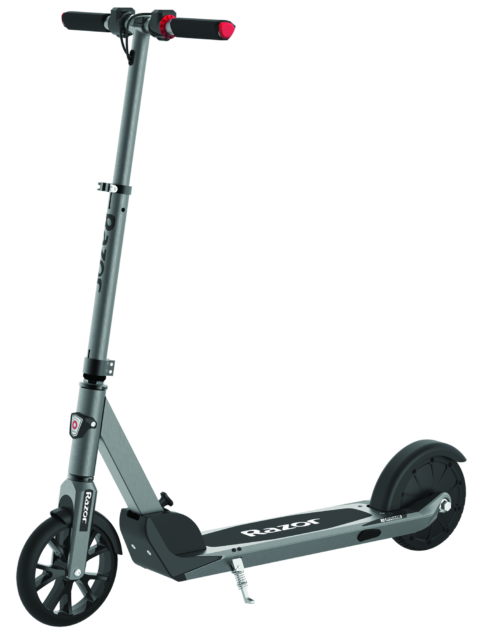 Past meets future with the light-weight and streamlined Power A2, packing an electrifying, lithium-ion powered punch with bold style and a quiet, rattle-free ride at speeds up to 10 mph! 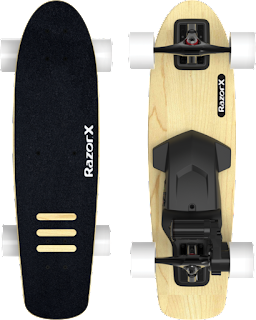 The Razor X Cruiser is a skateboard with an electrifying kick, putting the control of a 125-watt, geared motor together with a lithium-ion battery to deliver electrifying skate action at speeds up to 10 mph. Everyone needs a power-assist at times, but if you think an electric skateboard is for – look what our pro-skateboarder engineers came up with. With carve and turn action, The RazorX Cruiser is a high-performance, high-quality skateboard, powered by an electric rear-wheel motor and controlled by a hand-held remote. It’s a revolution in fun for the little ones– an electric scooter built specifically for youngsters still mastering their balance and coordination. 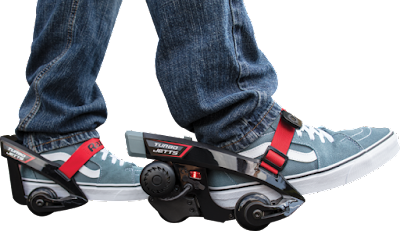 The Lil’ E provides the extra stability of three wheels and a simplified push-to-go, soft start throttle that keeps them in control as they explore the thrills of electric-powered fun. Need a little non-electric, foot-powered options? We’ve got you covered!